The trick to make sure that you enjoy your visit to a state as vast as Madhya Pradesh is to take the weather conditions into account. Every place has its own set climatic patterns and that need to be kept in mind before deciding when to visit that place. In case of Rajasthan, while it has a very harsh summer, it enjoys quite a cold winter whereas, in case of a hill station like Darjeeling, the summers are cool and the winters are quite cold. It follows from this that the best to visit Rajasthan is the winter months and for Darjeeling it is summer. Thus, without further ado, let us find out a little about Madhya Pradesh’s climate. Madhya Pradesh’s climatic patterns are quite similar to what we have mentioned about Rajasthan. It has a typical subtropical climate. The summers are pretty dry and not to mention extremely hot (especially for tourists who are unfamiliar to such a climatic condition), and the winters are pleasantly cool. The monsoon rain is also another important factor in the case of this state. Hence, when you are planning to visit this state, make sure that you have this little information mapped out clearly in your mind. Now that you know the general climatic conditions of this place, you can easily figure out which is the time that you would like to visit? If you are going to this state for the first time or you want to travel quite a lot, which most tourists do, then the hot summer days can become quite painful. You will need to step out and roam about in the sun, mostly, which might just make you unwell. So, it is best if summer is ruled out as an option. So, now we are left with monsoon and winter. Monsoon, which lasts roughly from July till October, is quite pleasant here. The plus point is you will get to see a lot of greenery. However, if you wish to visit the national parks here, monsoon is to be avoided since the parks remain closed. No prize for guessing the winner, then- winter! Comfortable day time temperatures and chilly nights make winter the best time to explore this state, located right in the middle of India. 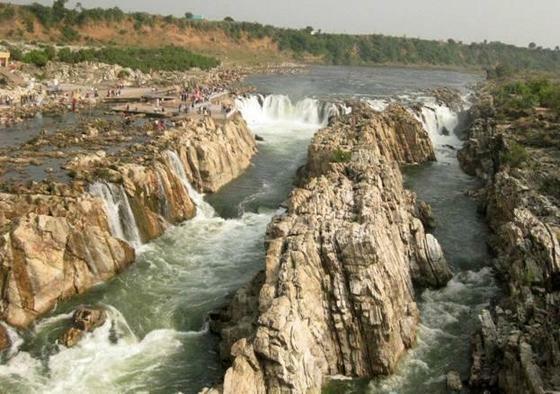 Since Bhopal is the capital of Madhya Pradesh and is the busiest centre of this state, this is the place that serves as the base for many tourists. The best option would always be to check out the hotels in Bhopal and book a room in the decided travel dates. Plan your travel from Bhopal. Thus, keep the climatic factors of Bhopal into account as well. Since it is a busy city, expect it to be a little less cool than the other surrounding suburbs. One thing that you must remember is that while winter is the ideal time to visit Madhya Pradesh for you, it is also the same for many others. So expect it to be quite crowded at this time of the year, hence it is best if you make reservations as soon as possible. If you do, then you are all set to check out the place in winter! Previous article Kerala Backwater Tour Experience- Once In Your Lifetime, Always In Your Memory Lane!